The purpose of a narrative essay is to tell a story or event usually with a moral character. It is used to illustrate an idea and can be either informative or entertaining. Below you can find some basic steps and useful tips on how to write a narrative essay. First, every narrative story or an essay has a purpose. Answer yourself the following question: why are you writing that specific narrative essay? Is it to entertain, to inform or to teach a moral? Once you have identified why you are writing a narrative essay, it becomes easier to pick a specific story or event, which will help you better illustrate the purpose of your narrative essay. Remember to answer the following questions when it comes to writing the context of a narrative essay: when, what, where, who and why. There is something unique when it comes to writing a narrative essay. While most of the essays are written from the first point of view, in the narrative one you can choose the point of view from which you are going to write. It could be either in the first or third person, but you cannot use the second person. The best perspective is of course to write from the first point of view but if you have decided to write a narrative essay on an event that you have not experienced yourself, then you should proceed with the third point of view. From whatever point of view you decide to write stick to it. Do not change points of view in the middle of your essay. It will be logically incorrect and will create a sense of confusion in the audience as well as lack of credibility. Vivid language and details are of extreme importance in writing a narrative essay. They will help the reader relive the story you are telling and make them feel close to it. It is important though to stick to the facts that are relevant to the story. Pick a story; write in a chronological and organized manner and give a purpose to your narrative essay. You can use dialogue or flashbacks in your narrative essay but be careful when doing so. Notice, you started telling your story and have stated your thesis: face your fears no matter how hard it is. After that continue with the body of your essay. Continue telling your story in an entertaining or informative way. In the body of the essay, stick to logical and chronological manner that confirms your thesis. Finish your narrative essay by restating and emphasizing your thesis. And that is how I learned the hard way that fears have to be faced. The purpose of the conclusion is to create a sense of closure and link to your thesis. Then proofread your essay. Correct any grammar and spelling mistakes and make sure that you have written the narrative essay in a chronological and organized manner with clearly stated thesis and conclusion. When writing your narrative essay, just like any other essay, you have to draft an outline. Following this, you can prepare your prewriting and insert the content into the format of the narrative essay outline you created. Below you will find some tips and a guide on how to create a narrative essay. Following the advice given below will help you write a high-quality essay worthy of an excellent grade. Bring your writing to life by being as descriptive as possible. Make sure you write to engage all five senses of the reader, guaranteeing that they will be lost in the beauty of your words. Use formal language that is clear, concise and easy to read and understand. Be descriptive of your characters and use dialogue to show who they are and what they are like. This will help your reader form a bond with them and make them more interested in reading your story. Everyone loves a good conflict. Ensure your narrative essay has a great and evocative conflict to drive interest in your story. The resolution of your conflict must be relevant to the purpose of the story and the plot you developed. If not, you will leave your readers confused and, possibly, upset. Be sure to evoke emotion from your reader by including graphic details to draw them in. Make sure that these details you have chosen suit the purpose of your narrative. Don’t make the story complicated. Keep the text and narrative so simple that if you read it to a child, they would easily understand and follow the story. Be sure to draft, write, proofread and revise your story as necessary. The outline of a narrative essay is similar to that of most essays in that it must have an introduction, a body that explains the set-up, beginning and climax of an event or conflict and a conclusion. Below is a more detailed explanation of each section. I. Introduction - This is where you introduce your narrative in an interesting and attention-grabbing way. One very good way to do this is to start a story with a future scenario. However, regardless of how you start your introduction, you must do the following. 1. State the importance of the topic to you and your reader. 2. State your thesis or the general idea you want to get across with your narrative. The thesis can also be used as the introduction to the set-up of your story. II. Set-up – This is where you provide all background information about the story so that your readers will understand what it is all about. 1. The background story of the people or event should be given. 2. Any relevant details should be expressed here in detail so that the reader will have a full understanding of what to expect. 3. Make sure a thorough description is given of all the characters, including all relevant physical and personality characteristics. This enables the reader to develop a bond with them. 4. Describe the setting of the story with such detail that all five senses of the reader are engaged. Be sure to explain the importance of this as it will also help the readers to sink further into your narrative. 5. Introduce conflict! Provide details of the conflict for the story and the possible impact on the characters. III. Beginning of event – This is where you thoroughly explain the conflict and how it began. 1. Explain what the characters did to reach the point where the conflict occurred. 2. Ensure that you are extremely descriptive and engage all five senses of the readers to pull them in. 3. Make sure to provide details on the characters’ feelings about the conflict. IV. Climax of event – This is the point where the conflict and its impact have reached their peak or maximum impact on the characters. 1. Again, you will want to ensure your description of the events are thorough to ensure the reader gets a full understanding of what is happening. 2. Be descriptive and ensure all their senses are engaged to pull them into the story and to keep them reading. 3. Ensure that you illustrate the thoughts and feelings of the characters. V. Resolution of event – This is where the conflict is solved and the story comes to an end. 1. Describe what happens to solve the conflict. How did each character handle the conflict and what is the impact on each of them? 2. Describe how everything turns out for each of them and ensure to give a quick summation of the story. 3. End your story with a moral lesson, if possible. The outline of a narrative essay must have an introduction, a body that explains the set-up, beginning and climax of an event or conflict and a conclusion. You’ve heard the saying “A picture is worth a thousand words”, but did you know that a well-written narrative essay can be a beautiful masterpiece? This eclectic list of inspiring narrative essay topics can help you conjure up vivid pictures in your readers’ imagination. Choose your favourite, or favourites, and get lost in the brilliant imagery your mind can create. I have never wanted anything so bad! Write a personal narrative essay about something you really wanted, what you did to get it, whether you got it or not, why and how the end result felt. That was the hardest I’ve ever worked for a dollar! How I decided it was time. Write a descriptive narrative essay about something that happened to you and you decided it was time for a change. I will never make the mistake to underestimate my opponent ever again! So, this is what cloud nine feels like! Write a personal narrative about something that made you feel really good. We exploded into an argument like a violent volcano! That time I got lost. In your narrative writing describe a time you got lost somewhere or got separated from loved ones in a strange place. I will never judge a book by its cover again! Today was just too much! Write a narrative story about a day where you were overwhelmed with work, stress, emotions, etc. Jealousy and envy are ugly, green monsters. Write a narrative paper about a situation where jealousy and envy made a bad situation worse. What I learned from my favourite teacher. Write a narrative essay prompt about a teacher who has impacted you and something they taught you that helped you overcome a challenge in your life. And that’s how I saved us from having a boring road trip! Without giving it a second thought, I sprang into action! Next time, I will think before I speak. I will never drink alcohol again! I never thought it would surprise me, but it did. Write a narrative about an event that occurred in a way you didn’t expect. My first day. Write a narrative summary about your first day at school, a new job, etc. Why being alone is such a joy. Write a narrative why sometimes it’s good to be alone. Sometimes it’s good to listen to your gut. Write a personal narrative about a situation where if you had listened to your gut feeling things would have turned out better. The story must have a great, attention-grabbing opening. Feel free to start your narrative paper with a great anecdote, fact or question that is interesting, relevant and catchy. Create your scenes with vivid details of the characters and setting. This will help to draw the readers in, ensuring that they hang on to every word you have written. Make sure you define the purpose of the story in the introduction, without giving away too much of the story. To little information will not pique the reader’s interest and too much will give away the ending. Include dialogue. This adds a “human” touch and helps to bring your story to life. Make sure the story is written in chronological order and is easy to follow. Use transition words to demonstrate where things happen first, next and last. 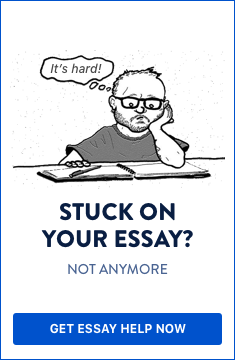 Do you need help with writing a narrative essay?